SO. 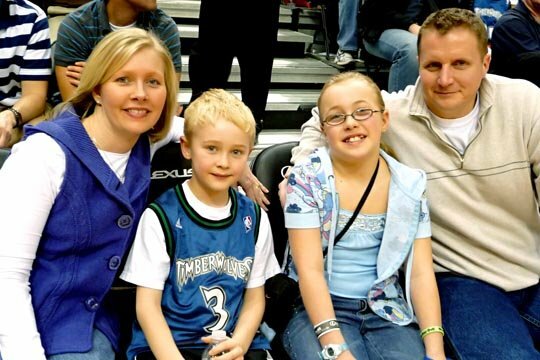 We were gifted with courtside seats to see the Timberwolves on Sunday, and we had a fabulous night! 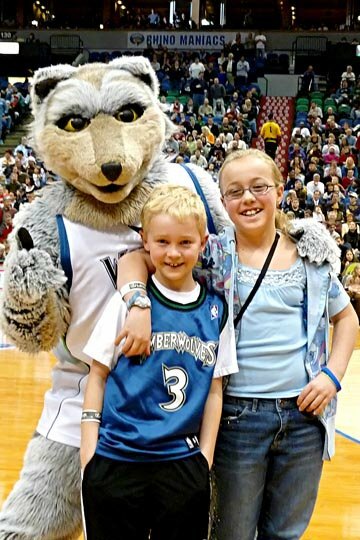 What a treat to sit courtside! OH! THERE'S Wy's face! Thumbs up, Crunch! The best part of the night? 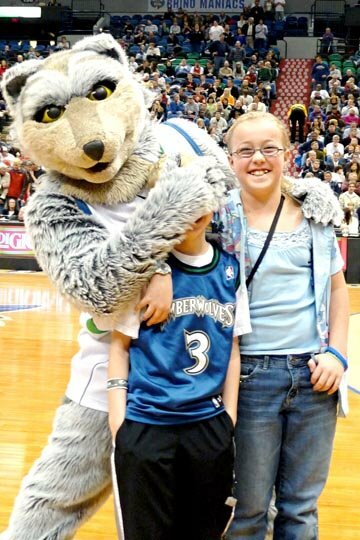 An OVERTIME WIN for the Wolves! 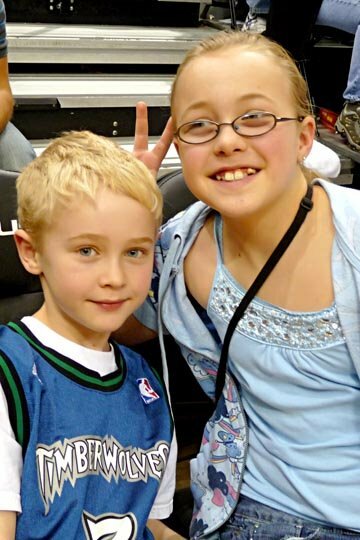 They had a slow start to the season, but they are HOT for January 2009! Thanks for stopping by - I hope your team is winning! 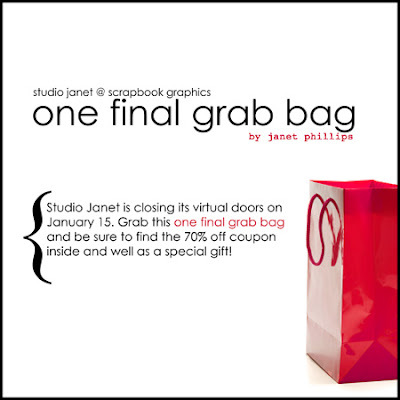 Studio Janet is closing down shop on January 15. (*insert my sad face here*) BUT - she has one final grab bag, and it's a DOOZY! 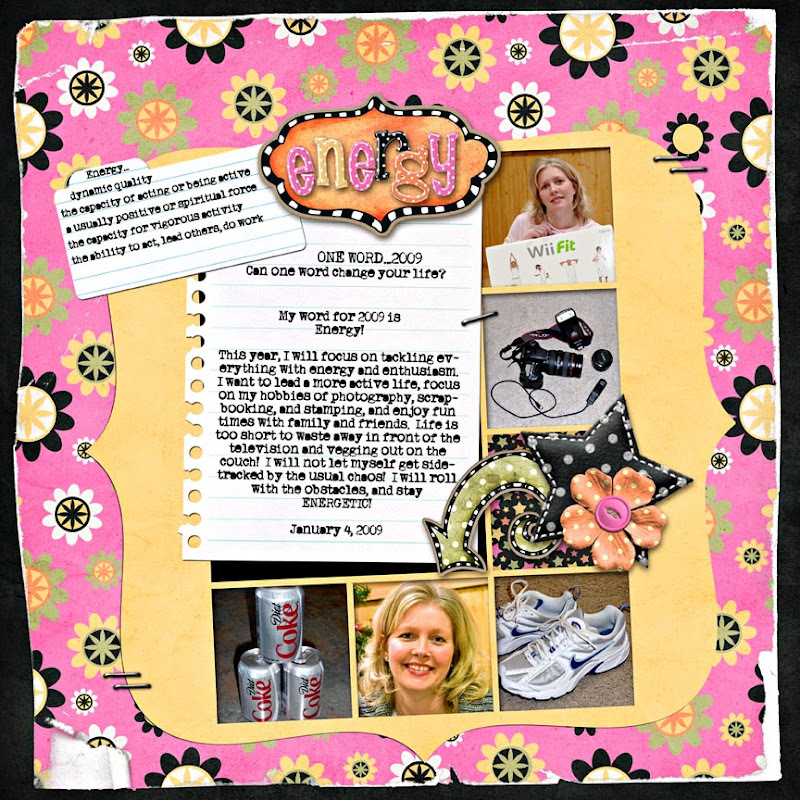 If you are a fan of templates, then you have to check it out, because she has some treats in there! 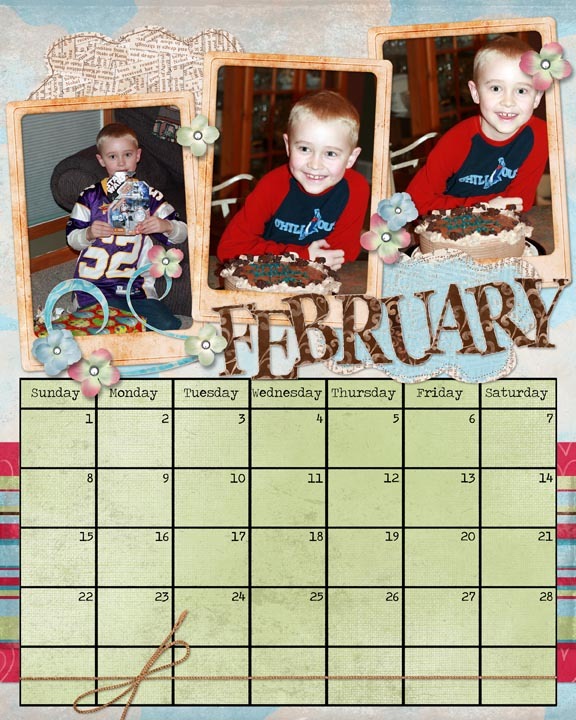 In addition to the templates, there is a coupon for a FREE template set, AND a coupon for 70% off! OH - and the shop says the grab bag ended on January 6, but I just read over on Janet's blog that she is extending that until her shop closes on the 15th. YAY! I have a list going of my *must haves* from Janet's shop...I am for sure getting one of the Fat Packs, and I also have my eye on a few other template sets. NOW - on to the GOOD NEWS! Janet is not leaving the digi community forever (YAY!) 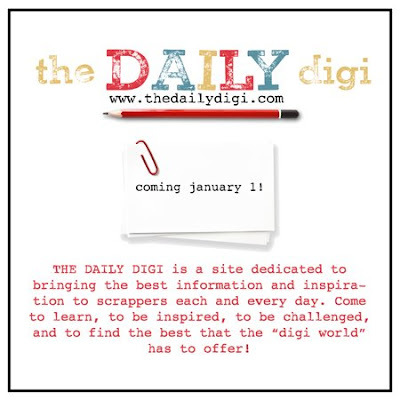 - she is embarking on a NEW endeaver at The Daily Digi! The site launched on Jan 1 and I am already a big fan - I can't wait to see what she has in store! Right now, it is getting started with lots of tips and tricks and general information - check it out, and add it to your faves! 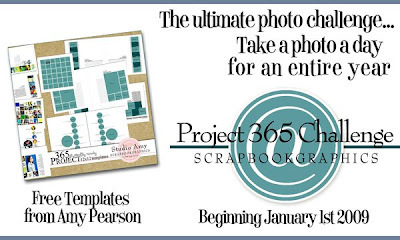 Are you keeping up with project 365? I've been having so much fun figuring out what to photograph each day - I need to get organized and share my pictures! 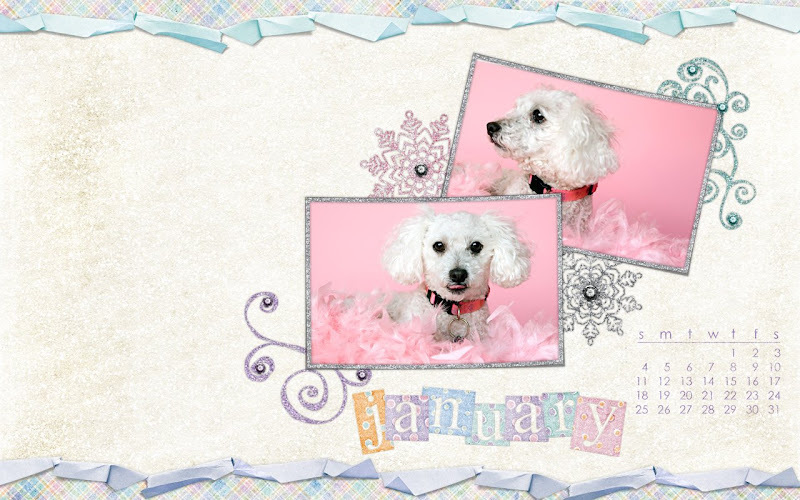 I originally was going to skip doing a calendar this year, as I never got around to it in December, but then I stumbled on this cute calendar kit by Dani Mogstad, and I just had to make an effort, lol. (Energy, right?) The image is linked, if you are interested in making this project. (It's not too late!) It's in 8x10 format, but I am actually printing it smaller, to hang near my desk. One cool thing - it comes with a blank calendar as well as the 2009 format. SO - you could use this for any year, and just plug in your own corresponding dates. Here is my January page - photo taken on January 2 - I will share the rest when I get them completed! Thanks for stopping in, have a fab Monday! Can one little word change your life? I think it can! 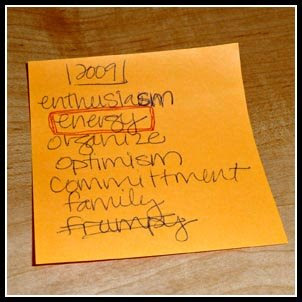 Ali Edwards started a tradition in her January 2007 newsletter to pick a word, one little word, to focus on for the year. A few of my blogging friends have been participating in this, and I felt inspired to do this too. We started chit-chatting about it mid-November I think? Then I got caught up in the holiday chaos of Thanksgiving and Christmas, and set it aside (sound familiar? Haha!) Well - we started chit-chatting about it again right after Christmas, so I pulled out my sticky note. Haha - just ignore that I had frumpy on there. 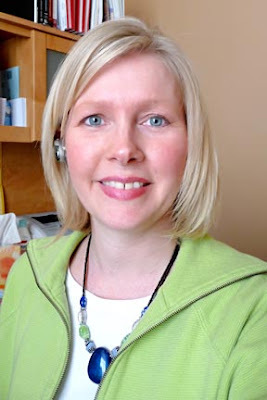 I decided I *do not* want to be frumpy in 2009, lol...I want to be the OPPOSITE of frumpy, so I went with ENERGY for my word. I feel more energetic already! I was so energized, that I had to scrap a page! Thanks for stopping by - have a fabulous Sunday! So - the "photo a day" concept has been around for awhile, and I think that THIS YEAR, I am going to just DO IT! I know what you're thinking! You're wondering WHERE THE HECK are those December Daily pages I promised??? LOL. I swear - I am *not* a December Daily Dud! I snapped the pics, and I jotted notes for journaling. BUT - the holidays are crazy, and I just fell right off the bandwagon! I refuse to feel bad about it! I will get my album complete (but y'all should prepare yourselves that you may not see it until NEXT December, lol...) because the pages and album are all ready to go - I just need to plop my stuff onto it. Okay, maybe I am a dud. NEXT YEAR - my December Daily will be DIGI. I think that will be a much better fit for me! ANYWAY - I am hoping that this Project 365 challenge will also get me scrappin' - and at the end of the year, I will have a nice fat album to show for 2009! YAY! New Year, New Look, New Desktop! 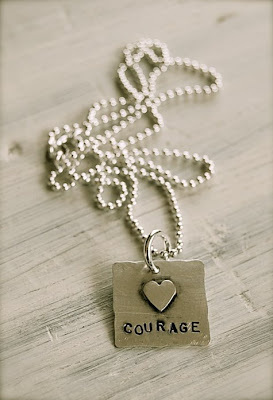 PHEW - it's been awhile since I had a moment to breathe, never mind keeping up on the blog! Today I had some time, and wanted a "fresh and fun" new blog header, so I was tinkering around, and ended up with a whole new look, lol. (DON'T email me to ask me how I did it, because I have *NO IDEA* lol) I used Dani Mogstad's Sweet Cupcake kit and her Handstitched Alpha - links are in the sidebar. I am now on a mission to get some cute little buttons in my sidebar for archives, labels, and etc. I have a TON to blog about, so hopefully I will be back soon!